Paysafecard is an electronic payment option based on the prepaid principle. The company was launched in 2000 and has daughter companies in London, Düsseldorf and New York. In 2013, the paysafecard group was bought by Skrill, making them one of the biggest eWallet/electronic money providers on the market. In 2015, Optimal Payments PLC, the mother company of NETELLER, announced that they want to combine forces with Skrill as their biggest competitor to strengthen their position in the market. In August 2015, the purchase of Skrill was completed and paysafecard became a product in Optimal Payments portfolio of electronic money and online payments products. In November 2015, Optimal Payments decided to rebrand the company and became Paysafe Group. More information and details about the history of NETELLER, Skrill and the Paysafe Group you can find on our Paysafe Group PLC page. Let’s have a look at the most frequently asked questions. With the following guide we want to give you a few more details about the Paysafecard, how to use it and about their major benefits as the card is a great tool for fast, safe and easy online transactions. Just click on one of the topics to get a popup with all information and details about it. My Paysafecard has many benefits compared to the prepaid card. First, you must keep the normal Paysafecard card safe and available, because you need the 16-digit number on it to pay with it. It also is not as secure as the My Paysafeard account, because the voucher is comparableto cash and in case you lose it everyone can easily use it to pay online and spend your money. Like in a regular bank account, you can see a detailed overview of all transactions and the amount you have left in your “My Paysafecard” account. That makes it much more comfortable to use compared to the regular card, where you must keep track of all vouchers and values manually. Paysafecard and My Paysafecard offer different functions and options. Paysafecard is a simple prepaid card that can only be used if you have funds uploaded on your card. Once you have used all your prepaid funds the card and the 16-digit code becomes useless. “My Paysafecard” is an online account that can be used to pay repeatedly. If you have no money left in your account, you can simply reload it and start using it again. Depending on your country of residence a regular Paysafecard is only available up to 100 EUR. The “My Paysafecard” account can be used to pay up to 1.000 EUR, which is a big advantage. How can I upload funds into the “My Paysafecard” account? 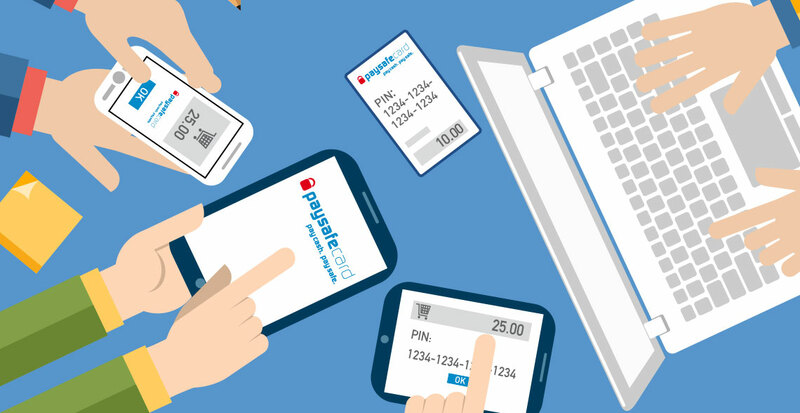 To upload funds into your account you need a regular Paysafecard. You can upload all vouchers to your account, no matter if the full amount is still available or only a few cents. Especially if you have many vouchers with smaller amounts left, you can combine them in your account and use them easily to pay with it. Is the “My Paysafecard” account free to use? Yes, you can register your account for free. However, if you do not use your account for more than 12 months you must pay an inactivity fee. Starting with the 13th month you must pay 2 EUR per month. There is also a fee for sending money from your Paysafecard account to your regular bank account, which is 7.50 EUR, as well as a currency exchange fee of 2%. 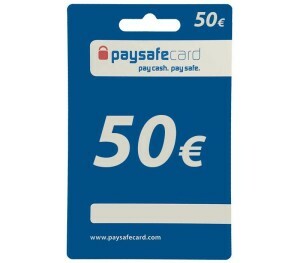 The regular Paysafecard vouchers are available in 5 different amounts: 10 EUR, 25 EUR, 50 EUR, 100 EUR and 150 EUR. The cards can be bought in many drugstores, gas stations, supermarkets and other shops. The paysafecard homepage also offers a search engine where you just need to submit your postal code to find all available shops in you area. To fully register and verify your account, you must submit your full name, address and a valid mobile phone number. During the registration process you receive a text message with a registration code to validate your number and activate your account. You will also receive a confirmation link by mail to validate your mail address. Once this process is finished you must verify your identity as well. You can do a Face2Face verification or use the “Postident” to verify your provided details. Please note that you need a webcam to use the Face2Face verification. A Paysafecard support worker will video call you, where you have to show your face including your ID card / passport to verify your provided account details. For the “Postident” process you need to go to a local post office with your ID card / passport, where an employee will check your identity and send a written confirmation to them. This process usually takes 2-4 business days, while your account is ready within a few minutes after using the webcam verification. How can I deposit funds to Skrill from PaysafeCard? You can find a quick guide on how to deposit funds from your Paysafecard to your Skrill account here. Is the 15 signup Bonus from eWO applicable with PaysafeCard? Yes, you just need to register with our promotional link and deposit at least 15 USD using the PaysafeCard deposit option. Please also make sure to fully verify your Skrill account to be eligible for the welcome bonus and check the promotion T&Cs for all information. How can I deposit funds to NETELLER from PaysafeCard? Depending on your country of residence you might not be able to use a Paysafecard. Please check the NETELLER Site for all details and information about how to use the card and who is able to use it. Please also make sure to apply to our free NETELLER VIP program to benefit from a free silver VIP upgrade, highest possible limits, free p2p transfers and a 2nd currency account. Paysafecard is now present in 42 countries and available at over 500,000 sales outlets worldwide and can be used at thousands of online shops. 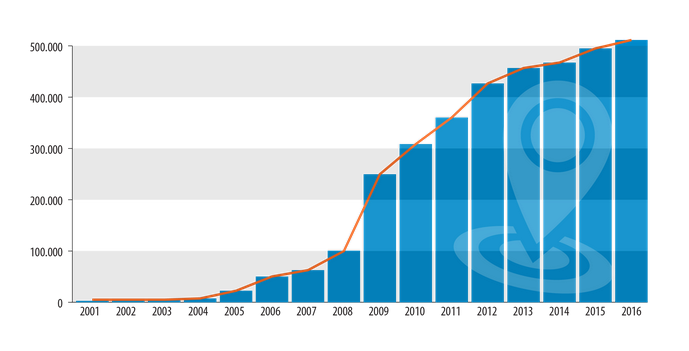 The average transaction amount is 24 Euro and the number of active users has grown to over 2 million per month. It is safe to say that Paysafecard will keep growing and defend the position as one of the top electronic payment options. Due to the complex and detailed registration process for the “My Paysafecard” account, you will lose your anonymity. Otherwise, you can use the regular Paysafecard voucher without exposing any personal information, which might also be the biggest benefit of the regular vouchers. Besides that, the “My Paysafecard” account is an easy, comfortable and safe way to pay online. You will have much less restrictions and you have a good overview about all your transactions at any time. So, if you are interested in using the Paysafecard service, we clearly recommend the “My Paysafecard” account option. However, if you prefer to spend smaller amount in full anonymity, the regular Paysafecard vouchers are the perfect payment option for you.